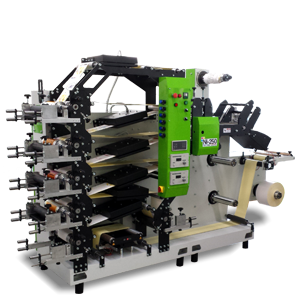 The basis of the Ni 250 system is a robust rotary die cutter equipped in 3 die cut units. 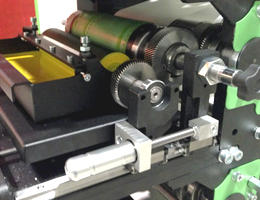 It allows unwinding a 2000-meter long roll, and rewinding it on 3 pneumatic expansion shafts. Turret with its extremely compact monoblock structure has the possibility to be configured through two methods: 6 colourss at the front, or 6 + additional 2 colours ,which option is the most suitable for you/ suits you best? 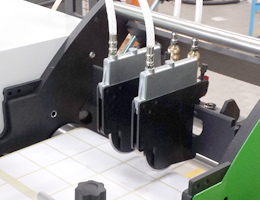 Modules with 2 printing units. According to your needs, you have the possibility to configure from 2 to 8 colors (to 4 modules). As a result, you have the capability to invest in consecutive modules in conjunction with expanding your business. What are the main advantages of the Ni 250 system? You are not obligated to select one solution, you may appoint/designate the most suitable configuration. Depending on your choice, you have the possibility of upgrading your machine, in the future. 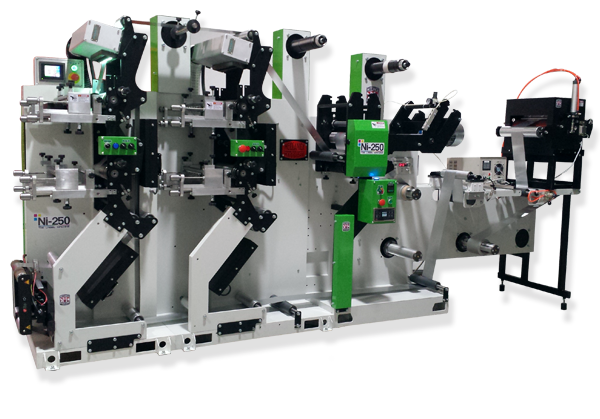 If you are associated with the label sector, you are certainly aware that the preparation time of the machine and the amount of produced waste are crucial elements. 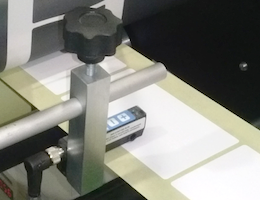 First of all, we reduced the paper path up to 10 meters and extremely improved the color registration system. You must see it in action! 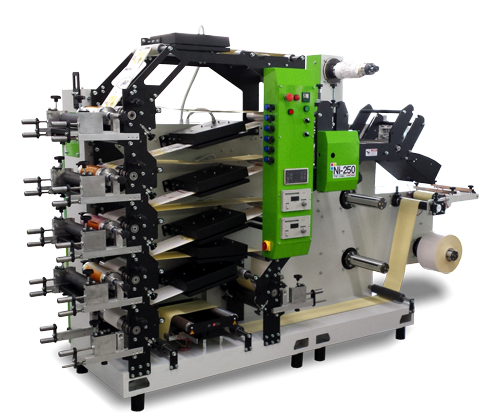 What would you say if you could/were able to run a full, professional, 6-color label production line on/using only 3 square meters? The entire process in just one pass? 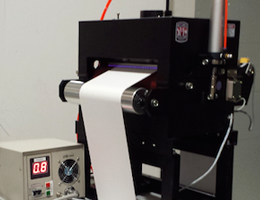 Of course, you can- that is/with the Ni 250 labeling machine! Manufactured, using the best European raw materials and components, which guarantee a reliable performance at minimal maintenance expenses for many decades. 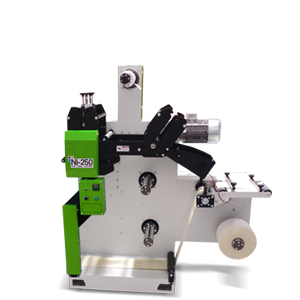 The machine is a perfect solution relative to high production of various roll to roll as well as roll to sheet products. 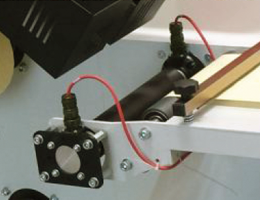 In this version we can install the shaft unwinder along with the webguide on both sides of the machine. 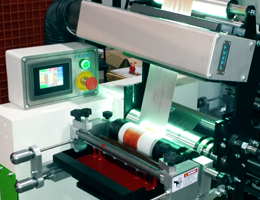 One, double-colored module enables printing labels with a logo or to apply different types of chemicals, and optionally glue. 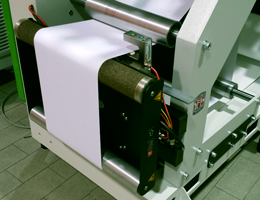 Thanks to an additional conveyor belt we can implement printing, cutting-out particular shapes, and the production of sheets from a roll, at high-speed in one pass. 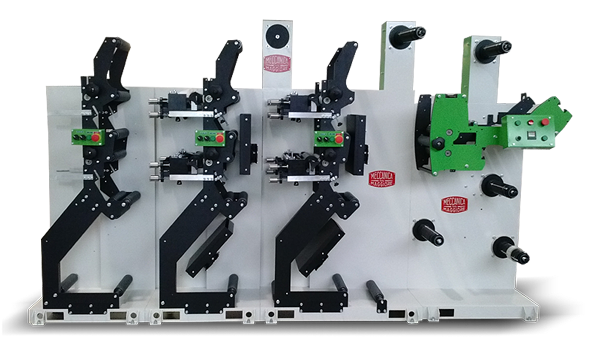 Our goal was to design and build the most compact machine, without any compromise regarding the efficiency and printing quality. Owing to many years of experience, over many generations, we were able to accomplish exactly that. Knowledge connected with technological competency within the field of mechanical engineering, generated the development of the Ni250 series, which we can offer you today. This is a series of flexographic printing presses, which is unique in every aspect. The Ni 250md and the NI 250tr were the fruit of designing machines while using a different approach. First of all, it is the highest possible HD print quality. 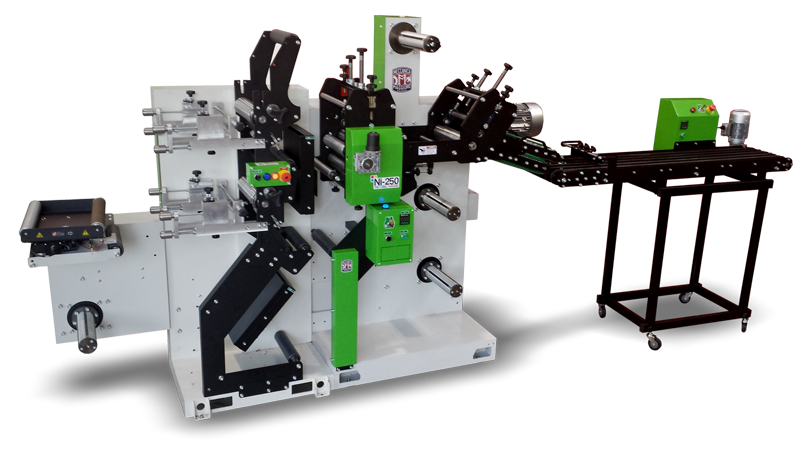 Secondly, a simplified fast machine set-up time along with low material utilization. Thirdly, operational simplicity and color stability, consistent throughout the entire process and finally, you must see the machine in action, feel it by touching the machine, in the interest of acknowledging the quality of workmanship and see for one’s own eyes the quality of the final product. 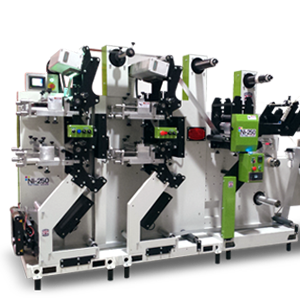 We know that there are three main features, you must find in our products: the print quality, the appropriate machine capabilities and the competitive buying price. 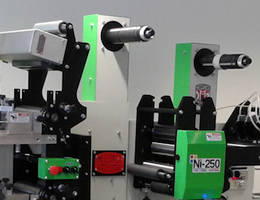 We firmly believe that our press machines are a turning breakthrough on the market and are changing a way of thinking regarding investment, the maintenance and operation of the roll-to-roll flexographic business.